Historical buildings, enchanting gardens and medieval banquets. Jesters, jousting, Kings and Queens. Choosing to throw a medieval wedding is romantic, significant and unique, creating an unforgettable special day. Whether you are looking for a medieval venue in which to add a few themed touches or wish to go all out with a fully themed wedding celebrating your adoration of the period, we have something to suit everyone. Check out our medieval wedding inspiration below and let us help you create everlasting memories to treasure forever. There are a variety of building types to choose from when deciding on your medieval wedding venue, from historic barns, halls and townhouses to majestic castles and fortresses. For a grand setting why not choose a venue such as Ruthin Castle based in North Wales? Set amongst acres of beautiful parkland they can provide you with a luxurious medieval wedding package with the option to enjoy their infamous medieval feast – tantalising! Or why not opt for Caldicot Castle in Monmouthshire? 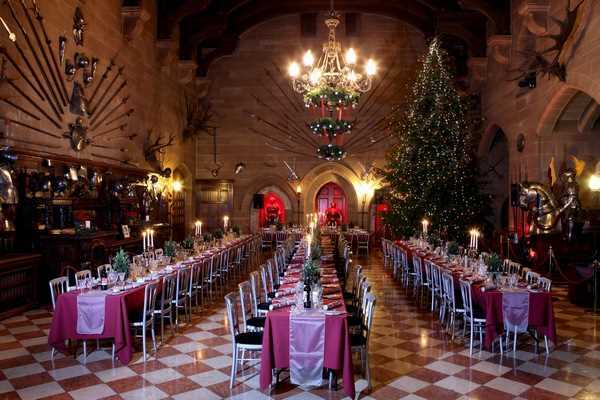 A fairy-tale fort dating back to the Middle Ages, their venue creates an authentic atmosphere ripe for a medieval banquet. In Herefordshire lies Brinsop Court, whose intimate banqueting hall is perfectly designed to capture the Middle Ages! For a truly memorable medieval wedding why not incorporate their suggested extra touches including replacing place mats with shields and accompanying a spit or hog roast with ales and fruit wines for a sumptuous medieval feast. The medieval Warwick Castle boasts stunning 14th century military architecture including its impressive great hall where you can dance the night away after relishing a lavish feast. Dartington Hall is the largest medieval house in the West of England, and its atmospheric buildings situated in extensive grounds will certainly impress your guests. If you’re looking for an intimate and understated wedding venue then look no further than the The Lost Village of Dode. A simply magical site situated in a concealed valley, this Normandy building complete with picture perfect grounds is available to hire for up to 45 guests. In keeping with the medieval atmosphere their regular wedding dishes feature hogs, whole lambs and poultry which are spit roasted on site, whilst also catering for individual dietary requirements. A townhouse like the stunning Barley Hall also makes an ideal location for a medieval wedding reception. In fact, their medieval banquet includes costumed staff, medieval background music and a storyteller so you and your guests can really submerge yourselves within the era. In Dorset you’ll find the stunning medieval Stockbridge Farm Barn, which comes with its own historic abbey. 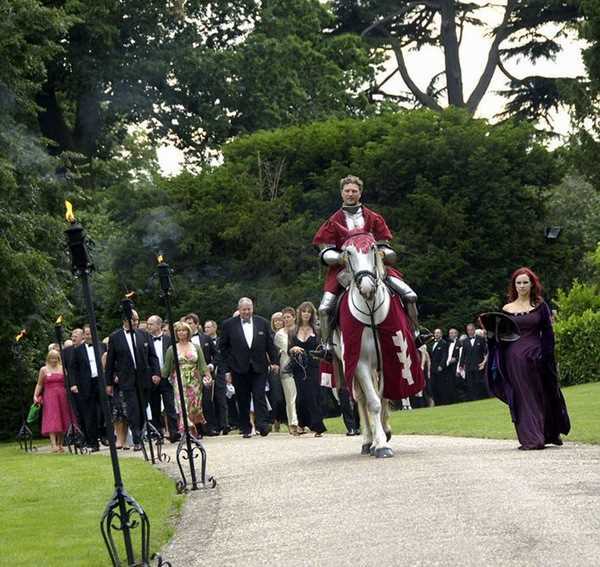 You can enjoy a medieval banquet in a magical and peaceful setting out in the countryside. The Yorkshire Dales is home to The Priests House, an exclusive wedding venue set against the spectacular backdrop of the 15th century Barden Tower. This idyllic setting creates an intimate space for a small celebration or for larger celebrations why not hire they’re marquee. You can go all out on a romantic medieval themed banquet. When it comes to choosing your medieval wedding suppliers there are a huge variety based throughout the United Kingdom. 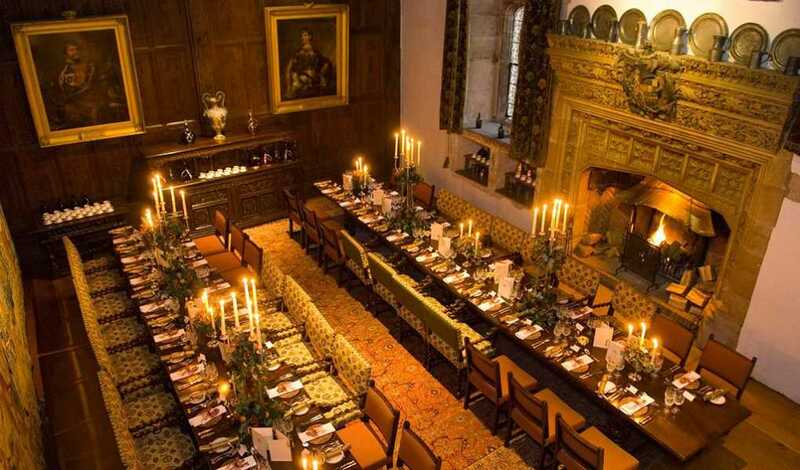 Take Costume Company (UK) Ltd., who will not only take care of your medieval banquet props and tableware but can also provide you with a fully costumed Michelin Star chef who will cook a mouth-watering hog roast tailored towards your requirements. As if that’s not enough they also offer medieval costumes, from lords, kings and knights to ladies, queens and maidens, and even livery for your horse or dog! Another diverse wedding supplier is Fantaysia, a unique medieval theming company who provide everything you need to make your vision come to life. From tent hire, pottery hire, medieval banners and medieval wedding dresses to hire and buy, they also provide all forms of entertainment from falconry to sword fighting, so you are guaranteed to find everything you are looking for! 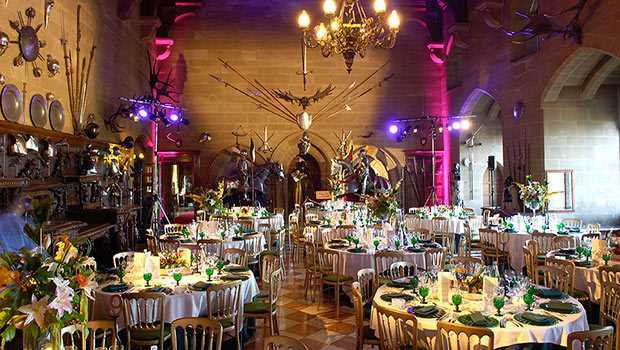 Medieval Banquet Hire is another fantastic company who can provide all manner of medieval theming, from individual prop hire to a complete venue set up including candle holders, flower garlands, wooden decor and cutlery, thrones, goblets and costumes. Hiring a medieval entertainer or musician for your wedding enhances the traditional primitive scene whilst creating a lively atmosphere. You will find many different entertainers who can specialise in a particular act or theme, whilst others are multi-talented such as Peter Optical. He offers a range of entertainment including fire-eating, magic table entertainment and song and verse cabaret to name but a few! For an unforgettable entrance he also plays period music on the pipe or tabor as guests arrive and during the ceremony. If you’re looking for musical entertainment then why not hire a band who specialises in the Middle Age era, such as musical trio Sloe Gin who are experienced in providing a range of musical styles for medieval banquets and weddings. All entertainers are fully dressed in costumes in keeping with your theme. 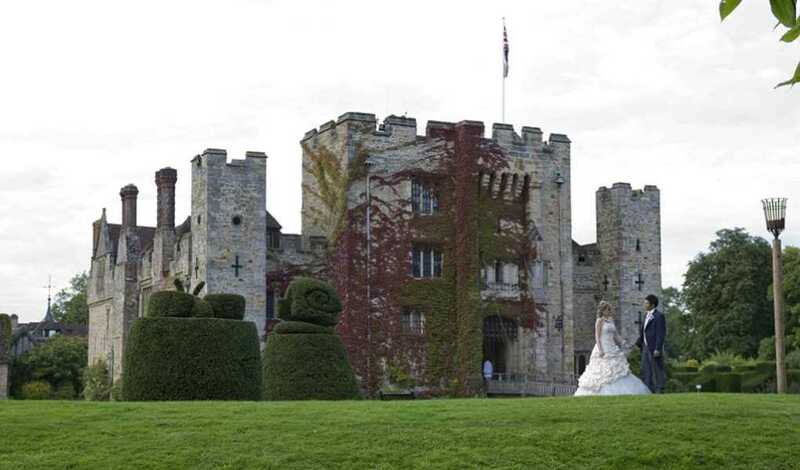 Take a look at our extensive medieval wedding directory below to get planning a wedding fit for kings and queens today.